Alec got a chocolate pen for his birthday. 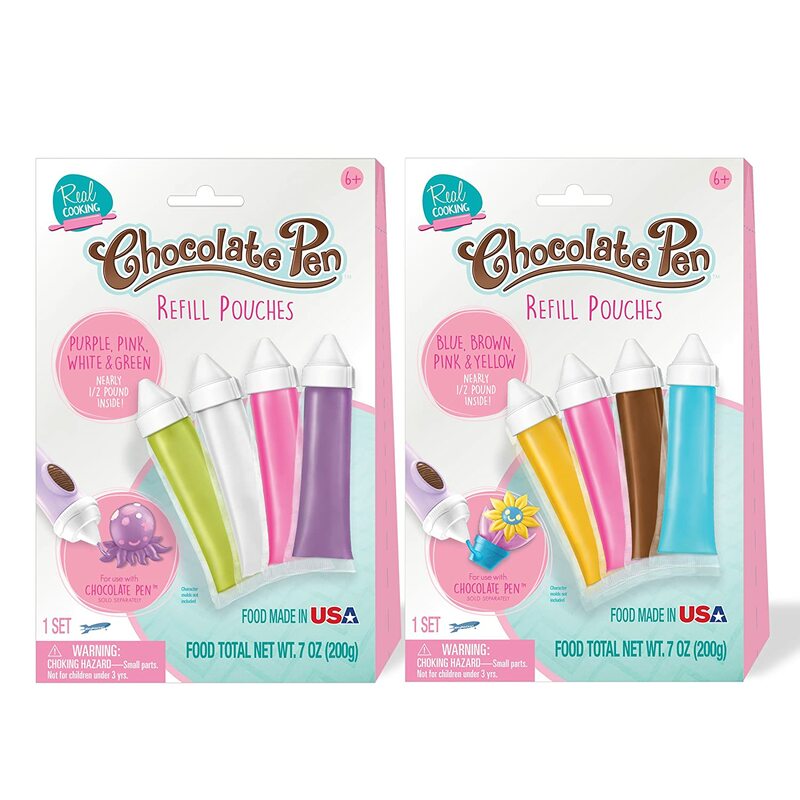 He's been having so much fun playing around with the pen and all of the chocolate colors. 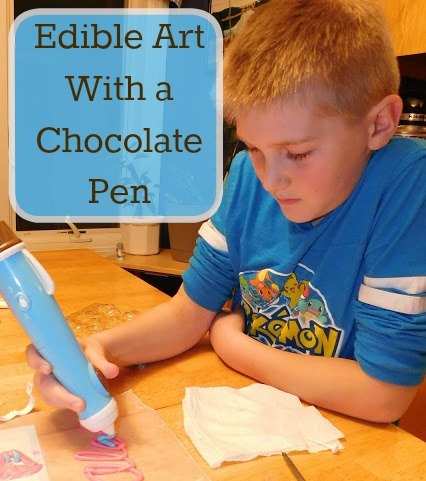 He bought a few re-fill kits already and has enjoyed learning to control the pen, figuring out how to combine colors in the same mold and it really struck me as a wonderful, fun, and edible art project! Perfect for our 100 Days of Art Challenge! 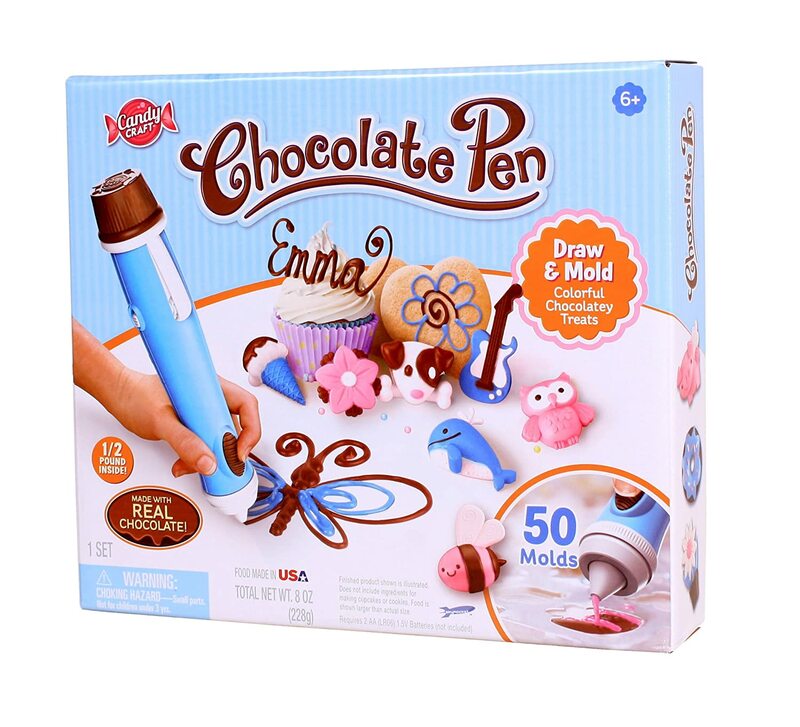 It took a little bit of time to get used to using the pen and to stop pushing the button that dispenses the melted chocolate a little bit before he really wanted to stop the chocolate. Love the name of your blog as I've always wanted to home-school my son. Thank you! We are certainly having fun eating what we create. My daughter has one of these. She had the best time with it! Being able to eat your art project is awesome.